>Five years ago today I met several women who would change my life, although I had no idea what that change might look like at the time. On October 14 at the Southern Festival of Books (when the Festival still rotated between Nashville and Memphis—it was downtown at the Cook Convention Center in Memphis that year) I met Beth Ann Fennelly, Cassandra King Conroy, Lee Smith, Jennifer Horne and Wendy Reed. Each of these amazing women—poets, writers and editors—opened the windows of my soul to a world I had always longed for. It was the world of strong women of passion. 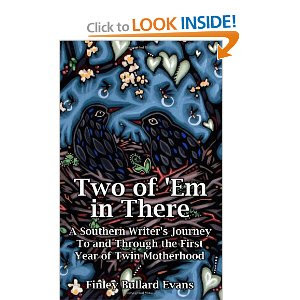 Beth Ann and I also met and visited during the weekend, and she autographed her book of poetry, On Tender Hooks. Who knew that she would soon become one of my teachers and mentors through the various workshops I would take in Oxford over the next five years. 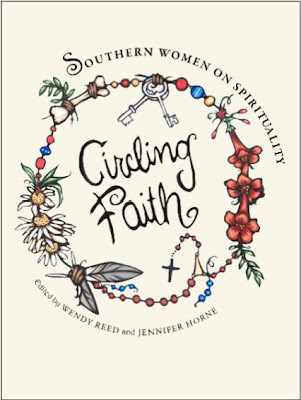 Today I am blessed to call her friend, and to be included between the covers of the upcoming anthology (also edited by Wendy and Jennifer and published by the University of Alabama Press) Circling Faith: Southern Women on Spirituality. Circling Faith is due out in the spring of 2012. Although I’ve seen the list of amazing women whose essays will be published inside the book with mine (including Mary Karr and Alice Walker!) it didn’t seem real to me until yesterday, when Wendy posted the cover art for the book on Facebook. 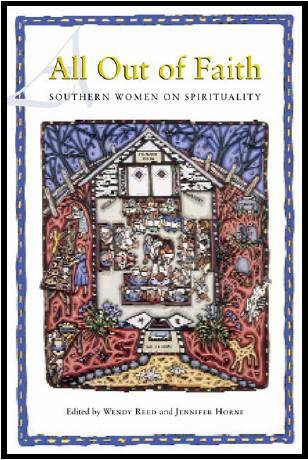 Birmingham artist Bethanne Hill also did the cover for All Out of Faith, and she’s outdone herself again with this beautiful and symbolic work. You can watch a video about Bethanne’s work here. The inside flap on the Wendy and Jennifer’s first anthology All Out of Faith, says, “The South is often considered patriarchal, but as these writers show, southern culture has always reserved a special place for strong women of passion.” Circling Faith will also be full of stories told in that “great Southern tradition” by “strong women of passion.” Follow my blog for release dates this spring, or friend me, Wendy or Jennifer on Facebook. 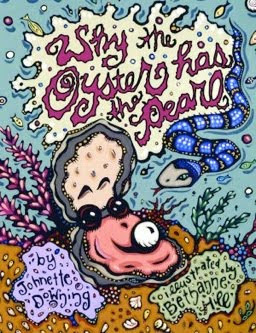 Until then, enjoy Bethanne’s wonderful artwork, which would make fabulous Christmas gifts. I love the children’s book she illustrated, Why the Oyster Has the Pearl, by Johnette Downing, and I just ordered another book she illustrated, Two of ‘Em in There: A Southern Writer’s Journey To and Through the First Year of Twin Motherhood by Finley Bullard Evans for a friend who is expecting twins in January.